Grab’s new cashless payment service GrabPay has officially been rolled out in Malaysia. The feature is now usable through the official Grab app, and allows users to make payments for Grab services such as GrabCar and Grab food, as well as pay for purchases through the service at partner merchant outlets, with GrabRewards integrated as part of the service. Users have the option to reload their wallets via credit/debit card, online bank transfer, or at 7-Eleven outlets. 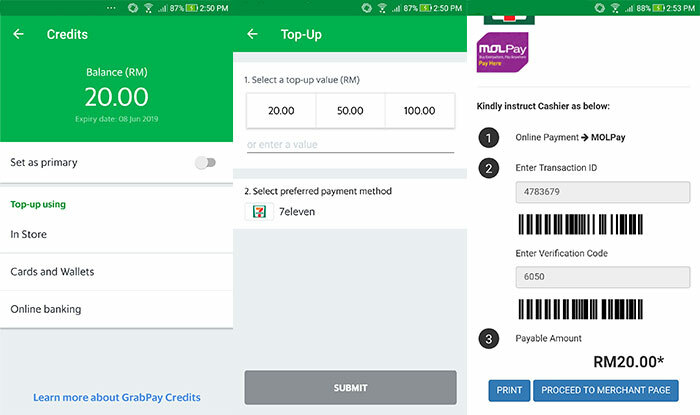 After unveiling their plan to become the one-stop lifestyle app for Malaysians, Grab have released their cashless payment service on their GrabPay platform to Malaysians on both the Android and iOS platforms. The new service is integrated into the Grab app itself, and is now functional with options to use the service to pay for Grab rides as well as products and services from partner merchants. As we reported earlier, Grab have also partnered with Maybank to offer their services on Maybank’s network of partner merchants. So with this new service now prime to compete for a spot as Malaysia’s most widely used e-wallet, we take a look at some of GrabPay’s features and how to register yourself for the service. The GrabPay service when announced was slated to become a service with near-comprehensive e-payment options. For starters, users will be able to buy and pay for products and services at any business partnered with GrabPay via a QR code system. The method is simple enough, with users just needing to scan a QR code at merchant outlets and then entering the total payable amount on their smartphones. GrabPay lets you pay for products or transfer funds to other users via a QR code system. 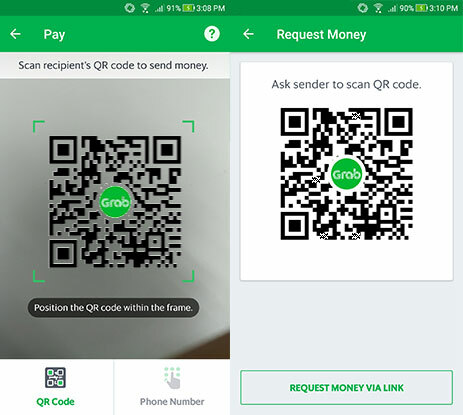 This QR code feature also extends to the option of transferring funds to other friends and family members who also use GrabPay—simply scan the QR code on the recipient’s phone and enter the amount payable to send. If for some reason they choose not to use a QR code, users can also send and receive funds by sending transfer requests or by entering the phone number of the recipient on the app itself. 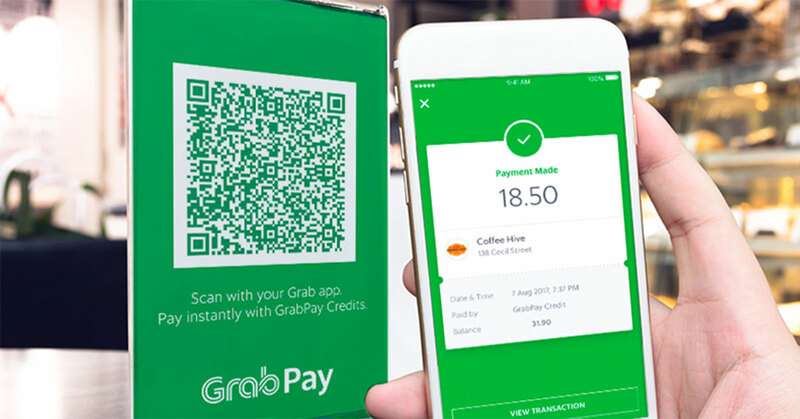 Of course, Grab has also primed the GrabPay app to become the easiest way to pay for Grab’s other offerings such as GrabCar and GrabFood, with Grab also adding the incentive of earning extra GrabRewards points if users pay for their Grab rides using GrabPay. And as for top-ups, users can reload their Grab Wallets via the usual methods such as linking their credit/debit cards to the service, via bank transfer, or by simply going to the nearest 7-Eleven to obtain a verification code. You can top-up using your credit/debit card, via bank transfer, or by going to the nearest 7-Eleven. 2. How Do You Sign Up? 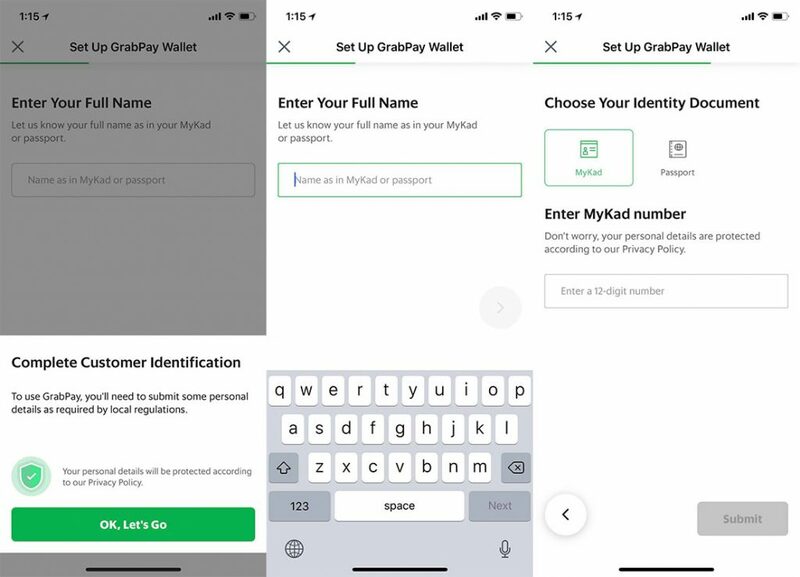 Setting up the GrabPay service is simple enough with the app only requiring you to enter your full name and MyKad or passport number in order to be able to pay for the various Grab services and make purchases at Grab’s partner businesses. To make transfers to other GrabPay users, upgrade the Grab Wallet by snapping a photo of your ID and uploading it for verification purposes. 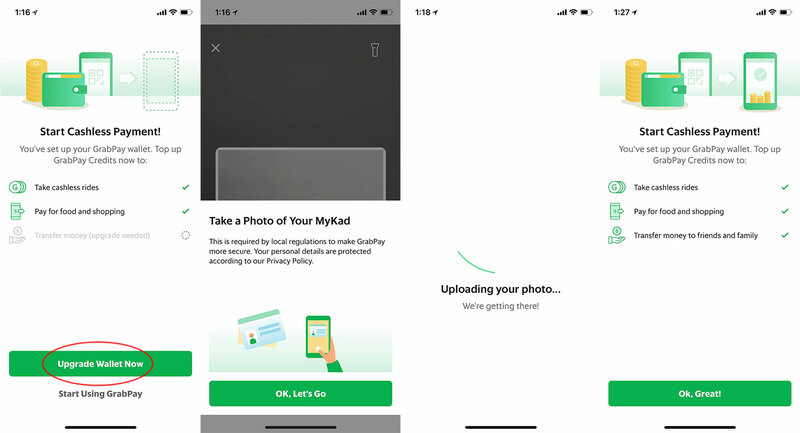 As GrabPay is still very much in its infancy, their current system can be expected to contain some loading issues (some of my colleagues were faced with errors when trying to upload photos of their MyKad, and certain options took a long time to load or had to be refreshed by exiting the app). “With GrabPay, consumers across Malaysia, regardless of age, can participate in the cashless, digital economy without having to download additional apps. By topping up money on Grab as your everyday app, you can easily track your spend and pay cashless conveniently and safely,” said Ooi Huey Tyng, the Managing Director of GrabPay Malaysia, Singapore and the Philippines. Effective from their official launch date, GrabPay is now accepted in more than 500 famous food and beverage merchants, spanning 8 major cities nationwide. The team’s looking to double the number of their partners in the coming months, adding to the list that already consists of Tealive, TeoChew Chendul, Devi’s Corner, KGB Burgers and more. Read more about Grab’s plans for its platform and how it wants to become the one-stop app for Malaysians in this article.